French Presidential Election 2017: After election campaign, now, the elections / polls are official over. Moreover, the results are out. 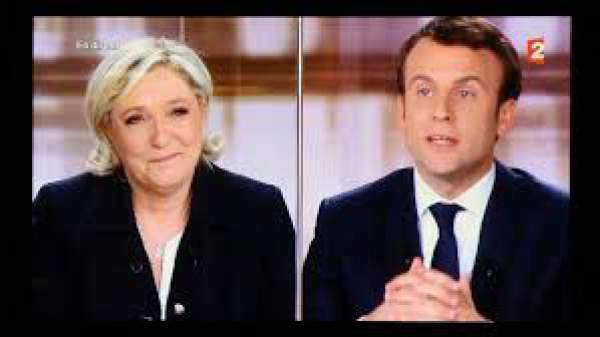 In case you don’t know who has won / winner and who will become the next president of France, it’s none other than Emmanuel Macron. He has defeated his competitor Marine Le Pen. The result of the 2017 French election came out on Sunday. A hacking attempt was made against Macron right before the voting when people were casting their votes. Here we have some highlights of the French election result 2017. This year’s ballot rate was pretty low. But, Emmanuel Macron still managed to get about 62% of the total votes cast. It left Le Pen with only 38 percent vote. Looking deeper in the age criterion, Macron managed to get an above hand in almost all age groups. Check: MTV Movie Awards 2017 Winners. About a quarter of eligible voters didn’t come out to cast a ballot as revealed by the Interior Ministry. It turned out to be the lowest voter turnout in the last three presidential elections. It was supposed that Le Pen could be benefited from lower turnout. The polls were official over by 7 pm in small towns and rural areas. The reports said that Le Pen had an extra edge in big cities like Paris, Marseille, and Bordeaux where the ballots got over by 8 pm. But, Macron was expected to get more there. The 39-year-old Emmanuel Macron is a former investment banker and economy minister. This is his first time when he will hold elected office. He is said to be a pro-business candidate who would like to improve France’s labor market just as he told. He wants to favor free trade and backs a stronger European Union. A night before the results, a hacking attempt leaked a large dump of documents. Due to an official blackout, the French media didn’t share some specific contents of the hacking. Stay tuned to TheReporterTimes for latest world news and updates.